Welcome to FireBeans! Here you can find information on Distant Healing, Energy Clearing, Animal Healing, Self-Help and how to book an appointment with me, Katy. Healing is a wonderfully relaxing experience that can help relieve a whole range of symptoms from migraines and back problems to chronic pain, stress, panic attacks, anxiety and depression. Take a look through the menu on the left for more details or contact me if you need more information. 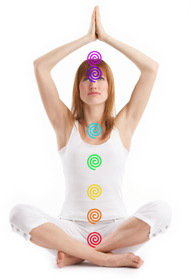 * Distant healing ~ Wherever you are in the world, I can send you powerful energy healing. * Animal healing and communication ~ I have a great connection with animals and a passion for helping them through their troubles - face to face and via distant healing. Face to face I have most experience with small animals, and my areas of particular expertise are rabbits and dogs.